Installing new gas appliances or repairing old ones requires turning off the gas supply to the appliance. Most homes have more than one type of supply valve, and not all are suitable for shutting off yourself. But once you can identify which valve is which, the proper valve to use will be quite clear. And gas shutoff valves for appliance work are the easiest type to use. Street-side gas valves are located on the outside of your home near your gas meter. Most street-side valves have a rectangular handle that controls the flow of gas. If the handle is parallel to the incoming gas line, gas is flowing. If the handle is perpendicular to the incoming line, the valve is closed. Many fire departments and gas companies prefer that only professionals use street-side valves. Incorrectly adjusting a street-side valve can result in leaks and other major problems. In fact, the gas meter and street-side shutoff valve usually is the property of the gas utility, not the homeowner. House-side valves, or branch valves, are located indoors and may be near an appliance or at various transitions in the gas piping. Typically, gas pipe is black iron pipe, but some newer homes have high-pressure house-side pipes. These are usually copper pipe and located in your utility room. 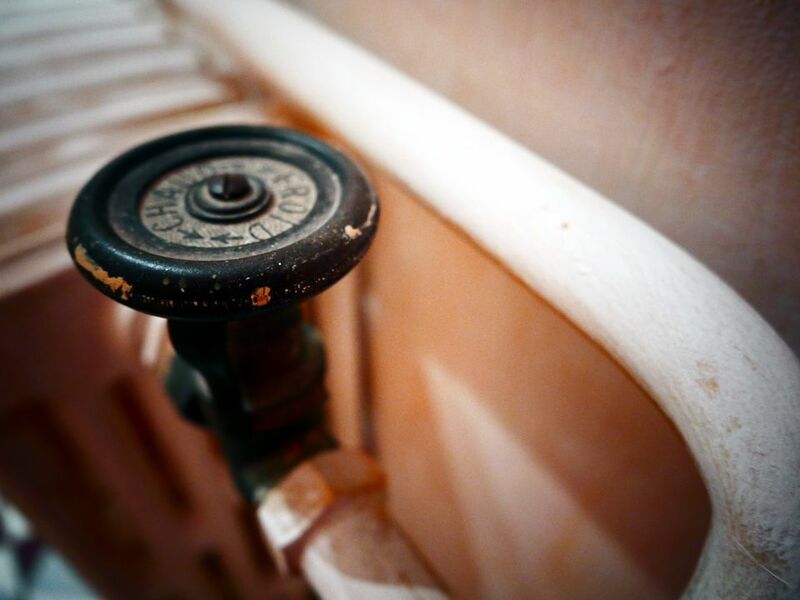 Shutoff valves for high-pressure systems are located near your water heater and furnace. Note that all piping in the house (everything on the house side of the outdoor gas meter) is the homeowner's responsibility. All gas appliances have local shutoff valves. These typically have a lever-type handles that you can turn by hand to control gas flow to an individual appliance. Local shutoff valves usually are connected to flexible corrugated gas supply tubing. Most home-wide projects will require an entirely gas-free home. Shutting off the gas to your whole home means turning off your street- or home-side gas main. Smaller, appliance-specific jobs only need a localized gas shutoff. You can shut off gas to specific parts of your home with the local valves. Street-side valves have square handles that open and close the valve. Most street-side valves require a special wrench to activate the shutoff handle. It’s best to have pros turn off your street-side valve. Most house-side valves have black or yellow handles on the top or side of the pipe. Turn the handle perpendicular with the pipe to close the valve and parallel to open the valve. Local shutoff valves have handles that limit the flow of gas to a specific appliance. Turn the handle perpendicular with the pipe to close the valve and parallel to open the valve. If you smell gas anywhere in your home, do not attempt to turn off the gas supply yourself. Stopping to turn off your gas in the event of a gas leak can result in asphyxiation and possible explosions. Instead, vacate your home and immediately call your fire department and gas company, using a neighbor's phone or a cell phone. Do not make a cell phone call in or near your house; there is potential for a static charge that can ignite gas, possibly causing an explosion. Professionals will ensure that your leak is managed in a safe and prompt manner.